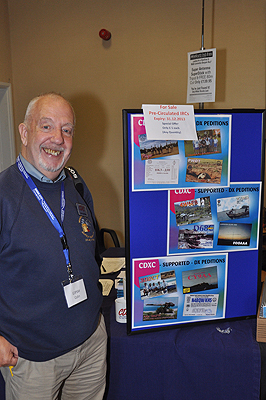 Colin G3PSM by the CDXC Stand at the capacity booked 2012 RSGB Convention Horwood House venue (near Milton Keynes) of the 2012 RSGB Convention. 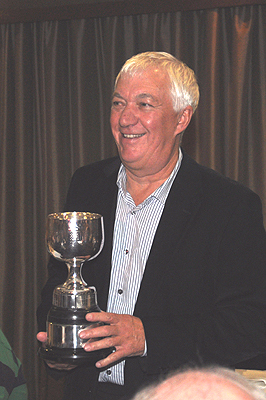 ROTAB trophy winner, top 160m DXer and birthday boy (65 today) Mike G3SED. 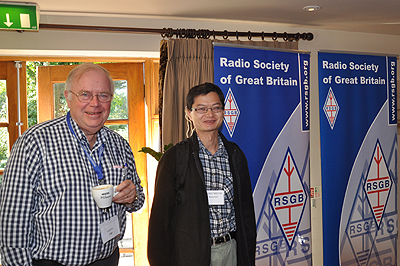 Olof G0CKV and Kazu JK3GAD (M0CFW) with RSGB banners. 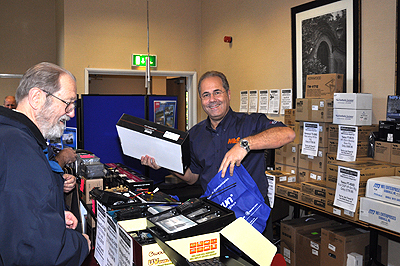 Martin Lynch G4HKS of ML&S with another happy customer. 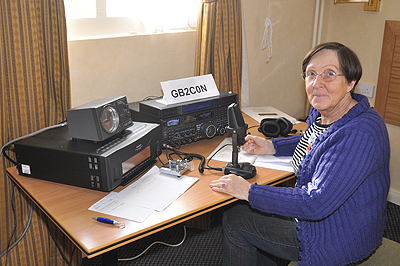 Christine GM4YMM operating the 2012 RSGB Convention station GB2CON organised by Paul G3WYW of Yaesu UK. 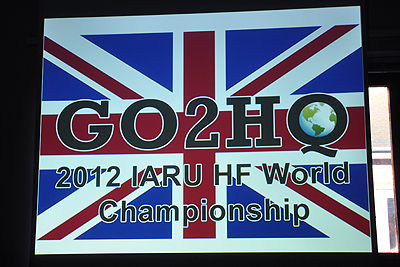 Chris GM3WOJ, Clive GM3POI and Andy G4PIQ gave a rallying call for support in up-coming IARU HF Championships from the UK. 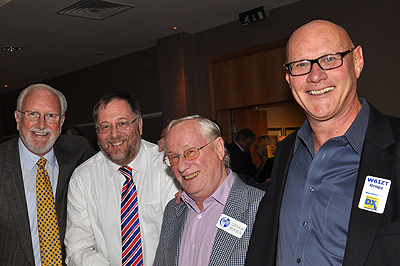 Lionel G5LP, Fred G4BWP (A65BD), Roger G3SXW and Gregg W6IZT (who gave an excellent presentation on HK0NA Malpelo). 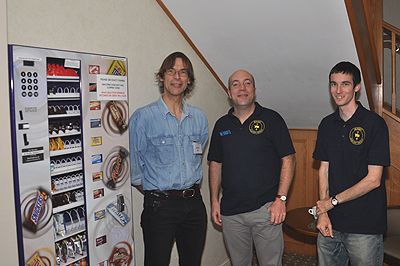 Tim M0URX, Rob GM3YTS and Alec GD3UMW (GD6IA). 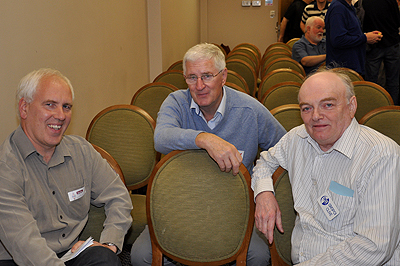 Andy G4PIQ, Dennis F5VHY (G3MXJ) and Clive GM3POI. 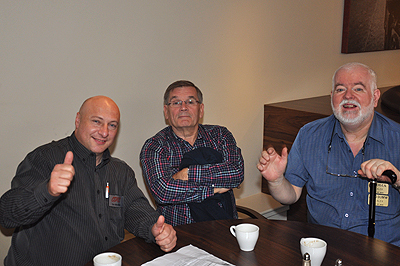 Three GJs : Phil GJ4CBQ, Mathieu MJ0ASP and Paul MJ0PMA. 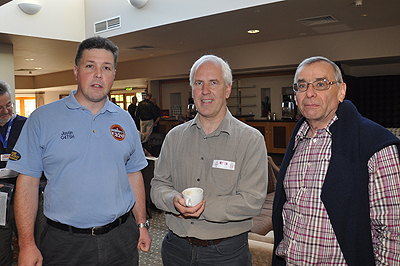 Justin G4TSH, Andy G4PIQ and Chris G3SJJ at a coffee break. Plenty of coffee and tea available, but, sadly, no biscuits this year! 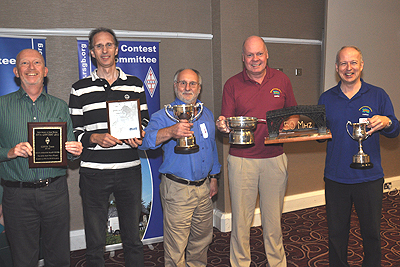 The Bristol Contest Group is present in large numbers at the HF Trophies ceremony. As usual, they collected many cups/trophies! 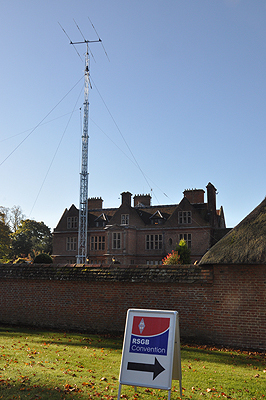 Upshot UK showed a trailer tower. 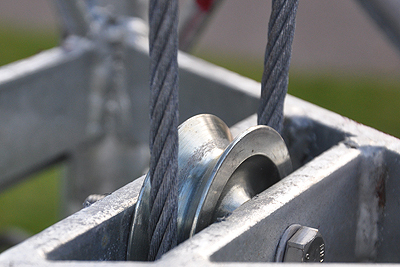 Former Versatower users are pleased to see someone picking up where Versatower had left off. 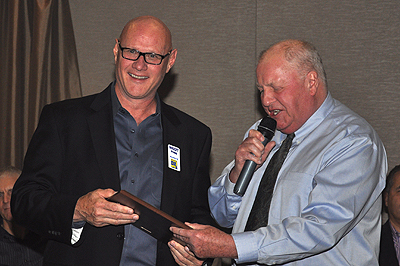 Gregg W6IZT receives CDXC's "DX-pedition of the Year" award for HK0NA Malpelo from CDXC President Neville G3NUG. 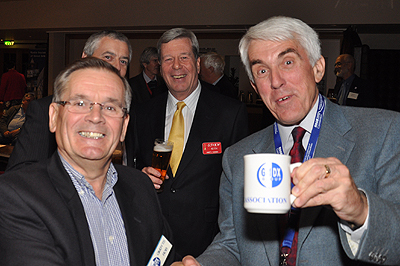 Nigel G3TXF receives a GMDX Mug from GMDX Chairman Rob GM3YTS with Keith G3VKW watching in the background. 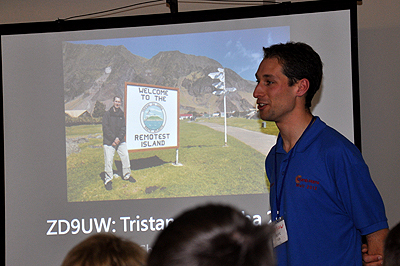 Rob M0VFC gives a fascinating and highly amusing presentation on his recent operation from Tristan da Cunha as ZD9UW.